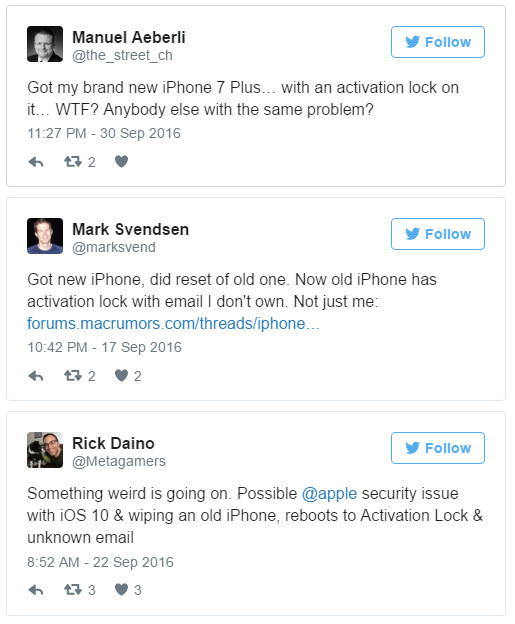 Some iPhone 7 and iPhone 6s users are facing Activation Lock problems. Here are the details on this issue. Apple’s new iPhone 7 hardware may be stunning to look at, and it may have resonated extremely well with consumers looking to be at the cutting-edge of smartphone technology, but that doesn’t mean that it isn’t without its issues. Reportedly, it does seem that a growing number of users are suffering from a rather annoying “Activation Lock” error that prevents access to the device altogether. Receiving an error message that says “Activation Lock” is concerning enough, but then there’s also the fact that it actually prevents the device from being activated, and therefore from actually being accessed or interacted with by the user. Just received my brand new 256GB Jet Black iPhone 7 Plus. Looks immaculate, screen is perfect, machining all fine… Only problem is, it appears someone has already used it as the iPhone is asking for the account used to activate it – ____@icloud.com. Apple says it needs replacing, now got to wait for an expedited replacement iPhone once I’ve returned this one. Not exactly a great experience or first impression of the iPhone 7, and what’s worse is that the issue is also being experienced on older iPhone 6s model. 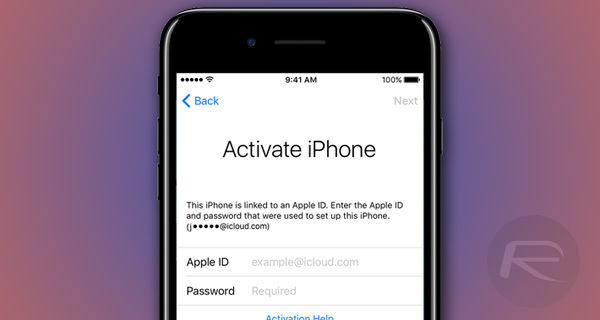 The Activation Lock feature itself is known to Apple and users. It’s basically a security feature that is built into iOS devices to prevent a lost or stolen device from being signed into via a secondary Apple ID that has no right or claim to the hardware. But it’s only deemed a feature when it’s actually working properly. Given the fact that Apple has replied on case-by-case basis with the advice to replace the hardware, it’s evident that the Cupertino-based company is aware of the problem. With that said, being aware and actually issuing a statement clarifying the problem appear to be two different things. Maybe they got demo units by mistake? The ones that go the Apple Store I mean. Received new in box is one thing, but old 6s with activation lock is potentially a completely different story. Working retail, I can assure you many many people out there create accounts that they didn’t know they created, whether it be an icloud account to sync notes and what not, Live account to activate office or during Windows OOBE, etc. I just don’t like seeing a specific issue get widened by other related issues and people blow it up to be a huge thing. Then people forget they made an account and read this online and think oh that’s what happened to me, then argue with retailers that it wasn’t their fault. Wow. So much negative information nowdays on all platforms. Samsungphones almost burn down airplanes. Sony and htc are dead. what about ios 4.3.3?? Worked flawlessly. Thoose ios version was working so good. And the phones as well.